It looks like back to school is right around the corner for most. Did your time off go as you planned with vacationing, new love interests, or that dreaded summer job? Some may have not had much to talk about if they had to attend summer school to bring up their grades. We have a review in store for everybody with a little from something of every genre that can be found on our site. What more would you expect from the best in free mp3 download sites? The first to be reviewed comes from The Empire. Their mixtapes bring you titles containing the best tracks currently in heavy rotation over the air waves. 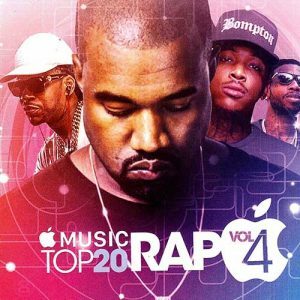 The 4th installment in the “Apple Music Top 20 Rap” series contains tracks by Kendrick Lamar, Big $ean, Chance The Rapper, Lil Wayne, D.R.A.M, Yo Gotti, YG, Drake, Desiigner, Gucci Mane, 21 Savage, Russ, 2 Chainz, Migos, Rae Sremmurd, Meek Mill, Pusha T, and other popular acts on this 20 song playlist. 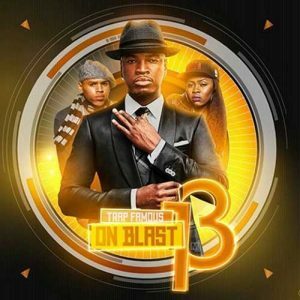 Trap Famous releases another r&b edition in the “On Blast” franchise. Number 13 plays you music by Lloyd, Tory Lanez, Usher, Kevin McCall, Keke Palmer, Ciara, Dev, Austin Mahone, Joe, TYuS, LoVel, Franck Ocean, JR Castro, TeeFlii, PARTYNEXTDOOR, Rayven Justice, Elujay, Mila J, and more. 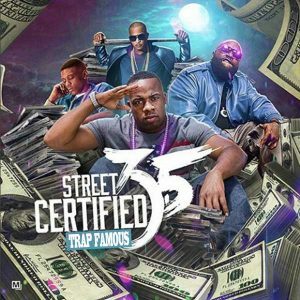 After checking this one out, be sure to browse the site and listen to all of the Trap Famous mixtapes. Their releases are some of the hottest you will find. 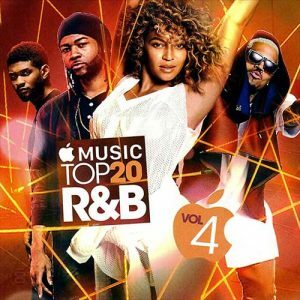 The Empire also has another drop in the “Apple Music Top 20 R&B” collection. Part 4 of the series contains tracks by musicians such as Rihanna, Bryson Tiller, Dreezy, T-Pain, Ro James, Kehlani, Kayla Brianna, Fifth Harmony, Twenty88, Alicia Keys, Beyonce, Fetty Wap, Chris Brown, Skeme, The Weeknd, and other talented artists. If you are wondering who Twenty88 is, that is a duo that consists of songstress Jhene Aiko and rap artist Big $ean. Below is a video from the song “Talk Show” off of their self-titled debut album. If you are looking for some reggae mixtapes, one of Canada’s most popular DJ Scratchez releases the 4th installment of the “Reggae On Smash Reloaded” library. This 67-track feature contains island vibes by Mr. Vegas, Vybz Karlel, Damarco, Dexta Daps, Popcaan, Tommy Lee Spara, Starface, Chi Ching Ching, Delly Ranx, QQ, I-Octance, Razor B, Natel, Clayton Williams, Timeka Marshall,m Kranium, and more. This DJ releases a mix of hip hop, throwbacks, r&b, and reggae titles. Finally, we have another hip hop product from Trap Famous in the “Street Certified” franchise. Volume 3.5 contains some of the best new tracks by Johnny Cinco, Travi$ Scott, Gucci Mane, Mally Mall, French Montana, 2 Chainz, Rich The Kid, The LOX, Rick Ross, G. Herbo, Migos, Kool Keith, Chinx, Master P, Lil Bibby, Ty Dolla $ign, Rockie Fresh, Problem, Bad Lucc, Chief Keef, and other top hood emcees. These mixtapes always bring you the newest records to hit the block first. That’s all we have for our fans in the music department while finishing up all the shopping that comes with back to school. Hopefully, most of you kept within your budget by hitting all the department store sales. Use that extra cash to become a premium member on the best website with the newest music. You can have a look at all of the benefits that come with a premium membership here. While riding the bus to and from school, you can always load our site on your mobile browser to relax and listen to the hottest music.